Keeping track of your system logs is not an easy thing to do, even at the best of times. Most people don’t even consider log storage as something that needs to be taken into consideration at all. But when it comes to keeping your systems compliant with auditing procedures and advanced troubleshooting, it is a must have solution for any business. Once logs are stored properly, they can then be searched with specialized software that can help to pinpoint system issues and even clues about security problems on your network. We have rounded up some of the best log management solutions that are available today so that we can help you decide which solution is best for you and your company. 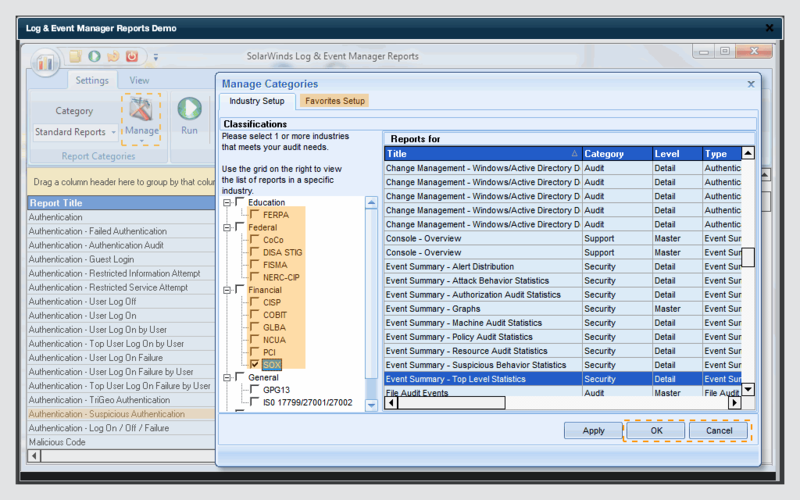 Solarwinds has created a log management application that is designed to keep your environment safe, secure and compliant. 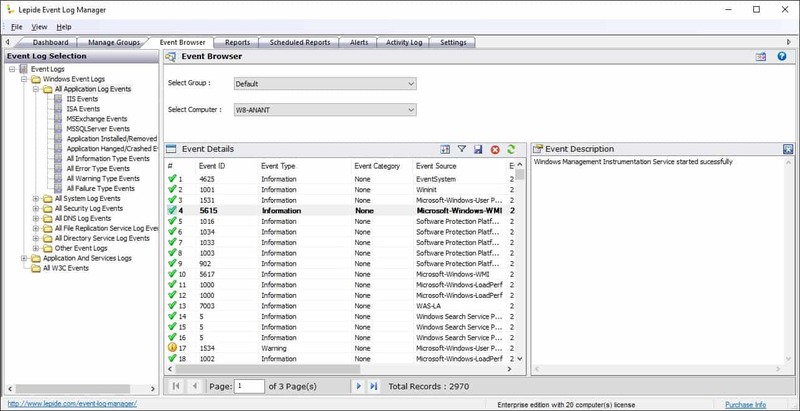 Log & Event Manager is a high performance, enterprise grade software suite that helps users to create compliant reports very quickly, making surprise audits that much easier to deal with for your IT department. Having access to so much information on your network also allows for a much easier time with real time troubleshooting and event correlation. Finding an error log that corresponds with the timeline of a system failure is an excellent way to seek out issues on your network via the logs, and Solarwinds & Event Manager are a great example of how this can be achieved quickly, easily, and intuitively. 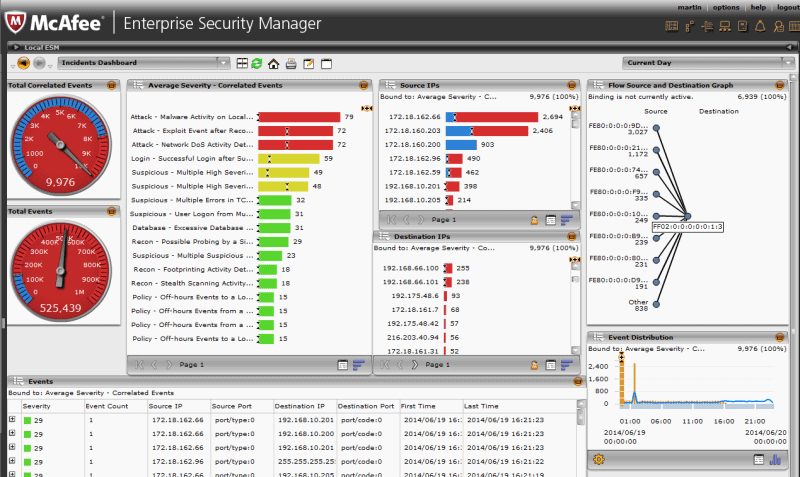 Solarwinds Log Manager has additional features that make it especially handy to have around, such as the ability for operators to detect suspicious activity more quickly, enhanced security threat mitigation, auditable compliance capabilities, and the maintenance and continuation of security, 24/7. LEM is a great product that offers many features to keep your log file management in order and maintained easily. It has streamlined compliance with reporting capabilities straight out of the box with: HIPAA, PCI DSS, SOX, ISO, NCUA, FISMA, FERBA, GLBA, NERC CIP, GPG13, DISA STIG, among others. 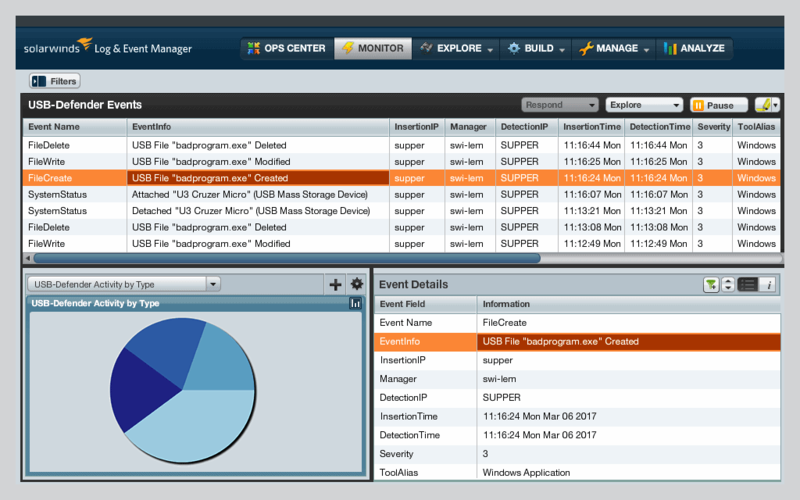 Paessler has created a high-performance log monitoring tool that forms part of its PRTG offering. It allows users to identify weak points within their network, and also allows for system administrators to receive alerts directly from the application. It has fully functional windows event log management capabilities, and can also act as a syslog receiver monitor. PRTG allows system administrators to assess the level of detail that they require from their logs, and then allows them to apply specific filters to accomplish the task that is needed. 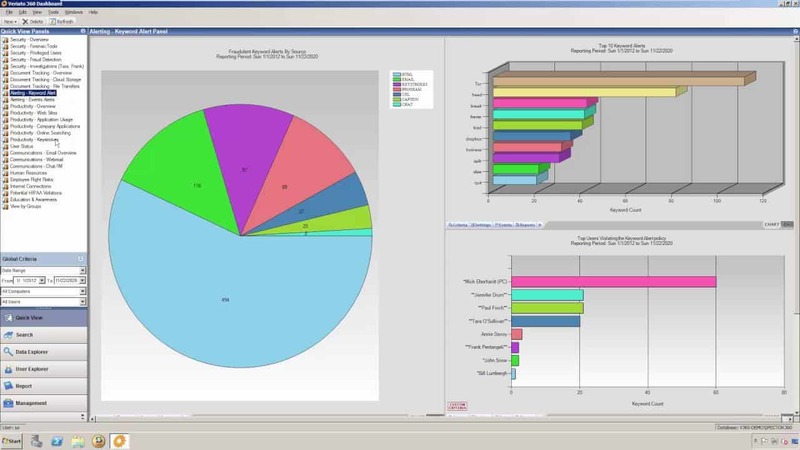 PRTG also has some great reporting capabilities as well, which allows for some impressive graphical representations, such as graphs and charts. Visualizing this data can make a huge difference when trying to make sense of massive data dumps from system logs. PRTG is a centralized tool that lets you keep an eye on your most important logs, and also performs some critical real time monitoring across your network as well. These include servers, bandwidth across the network and applications. This means that you can act on alerts and then go into the system logs as soon as problems are detected, thereby reducing down time and increasing productivity. All of these elements make PRTG more than just a mere logging tool, but a critical monitoring and alerting platform as well. The customizable alarms and personalized dashboards make this a logging tool that can be molded to fit your company’s specific requirements, and not the other way around. Event log management in the traditional sense, where administrators manually pore over vast tracts of data by hand, can be very time consuming and difficult. What made this approach even more difficult is the fact that there are often multiple devices such as servers and desktops that need to be analyzed at once, making the task all the more longer and more difficult. Lepide Event Log Manager seeks to change all of this with some of its great features. LELM lets you collect logs from multiple sources, and then it allows you to consolidate all of this information into a single resource. This allows for some quick and valuable insights to be gained in a very short space of time, especially when obvious correlations and trends become apparent. The application also prevents log overwrites and makes it much easier for system admins to access logs when they need to. The centralized log repository approach means that they can be accessed by multiple people from multiple locations if necessary, giving your IT department greater flexibility when you need it. In addition to ease of access, additional search and filter options have been setup to allow for advance log and record searches, saving even more time when logs need to be sorted through. 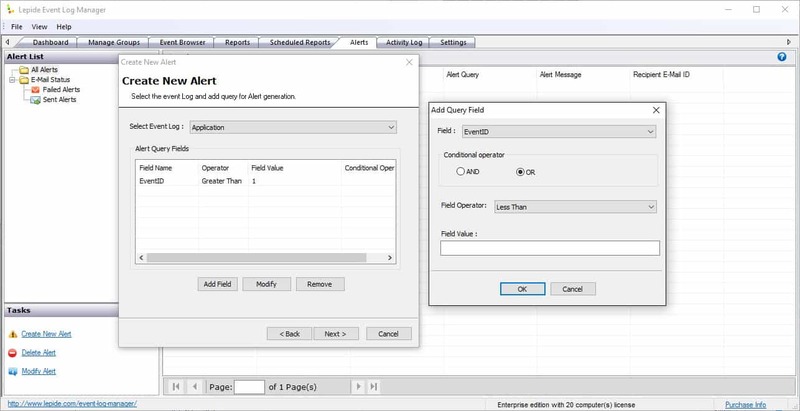 Lepide Event Log Manager also allows users to create alerts, meaning that if any trouble comes up, then your IT department can be kept well informed and on top of any critical errors. All of these features included make this an ideal log sorting tool and alert monitoring solution. Compliance is also a great selling point, with ISO, PCI, SOX, HIPAA and GRG13 standards all catered for within the application. There are currently two versions of the software available: Freeware and Enterprise, which can be downloaded from here. A quotation request form can be filled in here for any pricing queries. McAfee is a well-known brand in the IT world, especially in the Information Security sector, so it should come as no surprise that they also offer an advanced log keeping tool for organizations. Its main aim is to reduce compliance costs for companies, and to improve efficiency with automated log collection, storage, and management. It is able to do this by collecting, compressing, signing, and storing all original events and activities from your logs, while preserving an audit trail for maximum record authenticity. 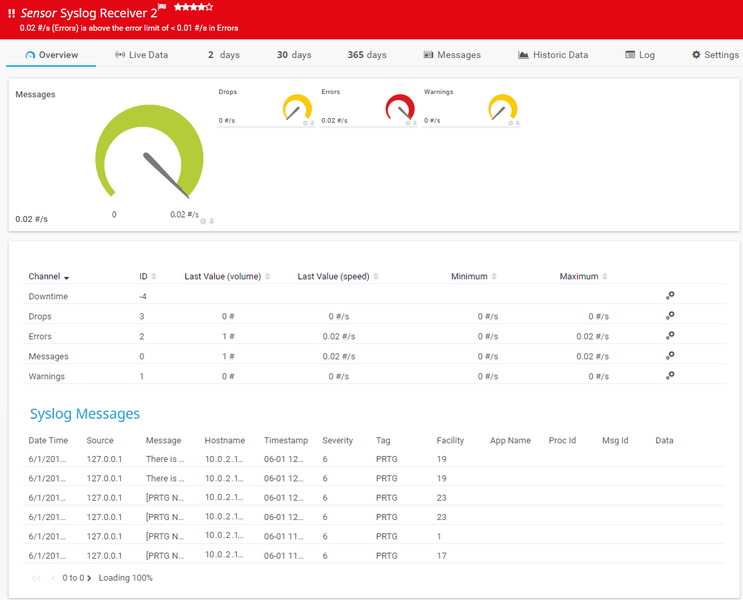 McAfee also has a fully comprehensive log collection management function, which offers a universal event log collection and storage system that meets most compliance standards and industry requirements. This means that it can be used as a means to preserve the chain of custody in forensics investigations and other legal matters. McAfee understands its enterprise client requirements, and as such offers multiple deployment options to suite a multitude of different operating environments. They offer physical server installations, as well as VM appliances for virtualized environments. 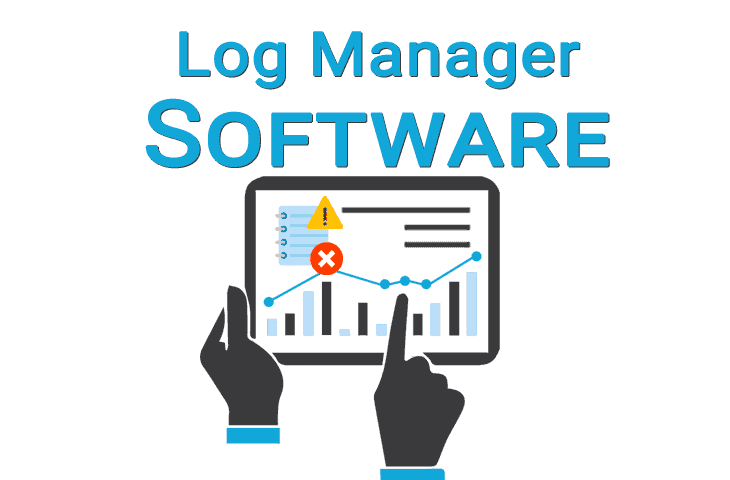 As well as being able to automate even logs and provide analysis tools, McAfee Enterprise Log Manager also collects logs automatically while storing specific logs for compliance purposes. It is also able to separate compliance records form analytical ones, creating reports with one set of data, while storing another for record and compliance requirements. A free trial can be downloaded from here. Contact McAfee to find out more about pricing, a link to their contact page can be found here. Veriato Log Manager is an event and security log management tool that collects information about the servers and computers on your network. Some of this information is useful for analytical purposes and troubleshooting, while other data sets are kept for compliance and record keeping, allowing companies in certain sectors to remain in line with legislative and legal framework requirements. Veriato lets users centralize and consolidate reporting and consolidation tools to track windows server event logs, syslog, and even text log files. It also has system monitoring capabilities as well, and can monitor Windows, Linux/Unix, routers, switches and other appliances on your network, giving you a powerful overview of what is happening in your environment. Having multiple data sources means that you can create powerful. 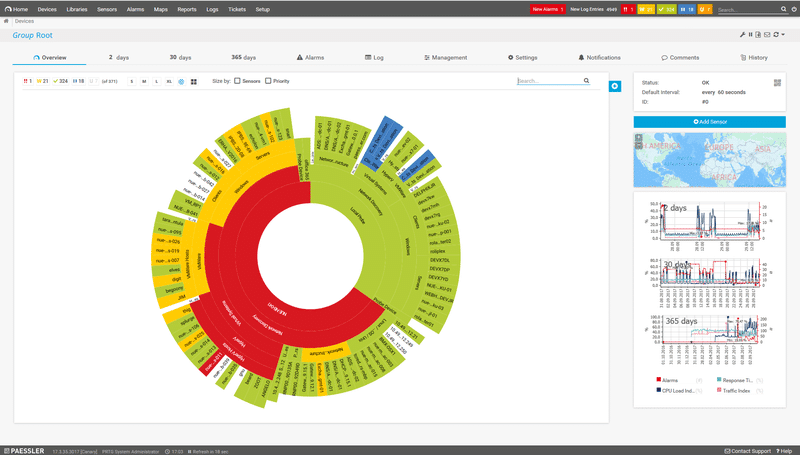 Veriato also offers some excellent graphical views for making sense of your logs, and it can produce some impressive graphs and offers detailed intelligence. It is able to do this by sorting through only relevant data, and can be further customized to target only specific data metrics that are of interest to your IT department. Compliance is also a major feature with Veriato, and these can be customized to suit your specific industry requirements. They are able to report, record, archive and retireive all of the selected data archives that are set out by your system administrators. The stadards that they are able to comply with are PCI DSS and HIPAA. A trial download can be found on this page. A quotation can be requested from here. Splunk seek to redefine log management software with their product offering with advanced features such as Indexing Machine Data, Search and correlation tools, drill down analysis functionality, as well as monitoring and alert capabilities. All of this ties in beautifully with their reports and dashboards features. 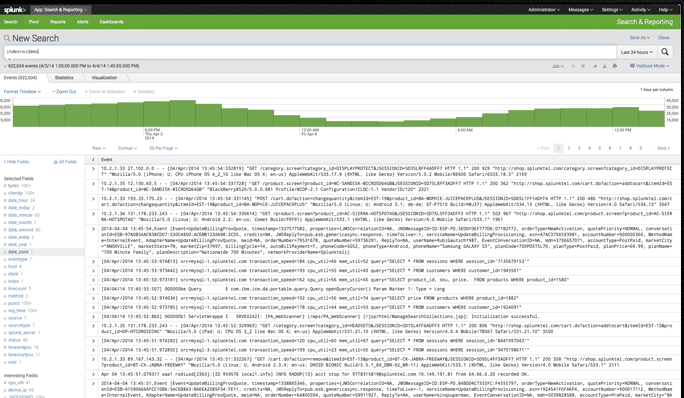 Splunk offers real-time enterprise log and management, with search and diagnostic capabilities built in. 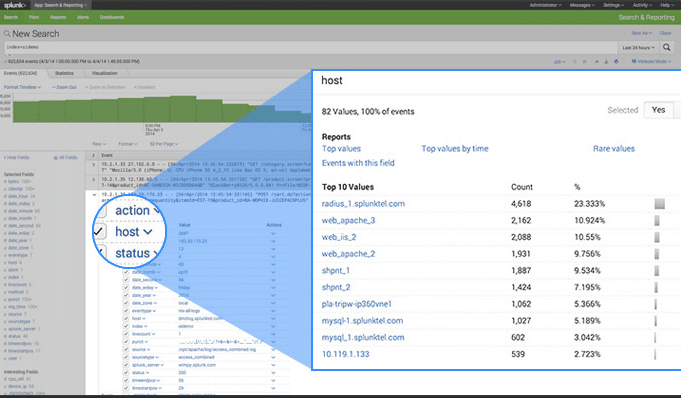 This allows Splunk to analyze and index any log data that has been identified as being worth recording, giving your team all the tools that they need to keep track of system errors, and help with advanced troubleshooting. All of these features come together to create a highly effective, and good looking data logging solution. Splunk performs incredibly well at scale, and can make troubleshooting large problems on the network. Compliance also plays a large role within the Splunk application, and it is able to keep your records in order to meet these requirements. A full price guide can be found here. The first and probably most important reason is for your IT administrators. They are able to keep track of issues, troubleshoot and investigate difficult system issues on your network, and without system logs they would not be able to solve many of the complicated problems that are associated with modern networks. The second important reason is for alerts and real-time notifications. 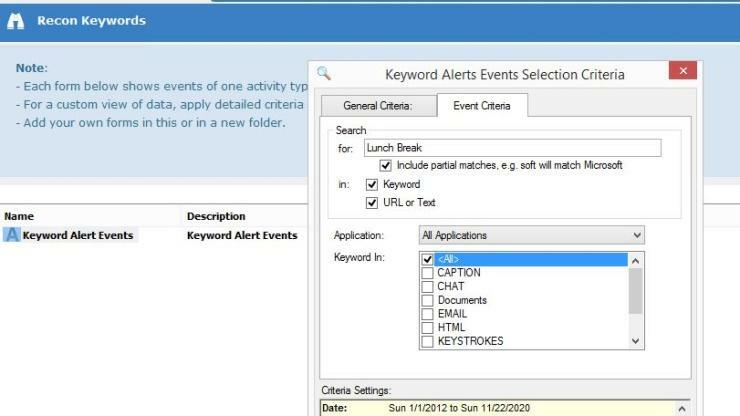 Some of the log keeping software that we have looked at today are able to keep you in the loop about system issues by sending out email alerts whenever specific filters detect logging conditions that trigger a warning or alert notification.This makes it possible for the systems to act as real time warnings for your IT department to act as quickly as possible. The third reason is for compliance reasons. Many industries now require that logs be kept in a specific format so that they can be audited and checked for adherence to the prescribed laws and policies that may or may not apply to your specific industry. There are many different types of compliance regulations that need to be followed, sometimes there are multiple standards for a single company to follow, depending on the industry that they are a part of. Hopefully you have gained some insight into the different products that are available on the market today, and that you can make an informed decision based on our review.